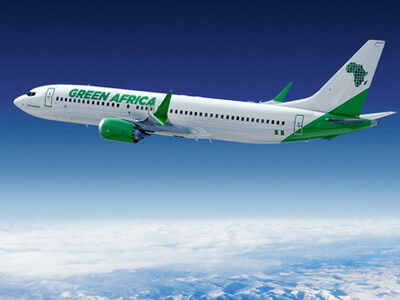 Boeing and Lagos-based Green Africa Airways on 21 December announced a commitment for up to 100 737 MAX 8 aircraft, evenly split into 50 firm aircraft and 50 options, as the airline gears up to begin commercial operations. The total deal carries a list-price of $11.7 billion, the largest aircraft agreement from Africa, and will be reflected on Boeing’s Orders and Deliveries website once finalized, Boeing said. Green Africa Airways, based in Lagos, Nigeria, has received its Air Transport License from the Nigerian government and is anchored by a group of senior industry leaders led by Tom Horton, former Chairman and CEO of American Airlines, William Shaw, Founder and former CEO of VivaColombia and Virasb Vahidi, former CCO of American Airlines. The airline initially plans to develop the Nigerian market and then build a strong Pan African network.